When we first started running longer on the trails we quickly figured out that we needed to transport our water with us. We started first using hydration packs: I use an old EMS pack that was Katie’s and she uses a 1.5L Camelpak. (I am hoping to purchase a Nathan Hyrdation Vest soon. More on that in another post) While the packs are nice, the added weight and material can make things uncomfortable. So we decided to try a handheld water bottle. Initially skeptical about how our arms would feel, I have now decided that they are going to be the go-to answer for on the run hydration. I want to do a comparison of the first water bottle we bought, the Ultimate Direction Fastdraw Plus and our newest one, the Amphipod Hydraform. 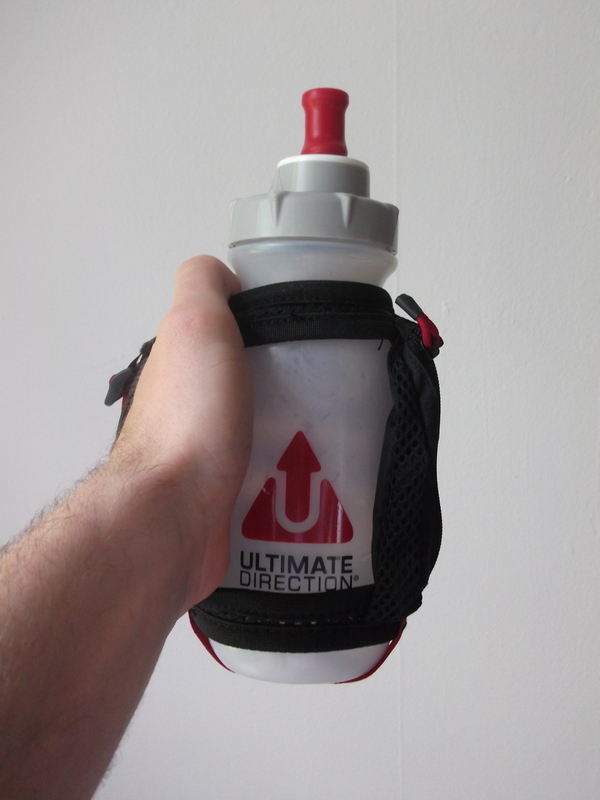 Ultimate Direction Fastdraw Plus: The design has a fairly traditionally shaped bottle that holds about 20oz of water. 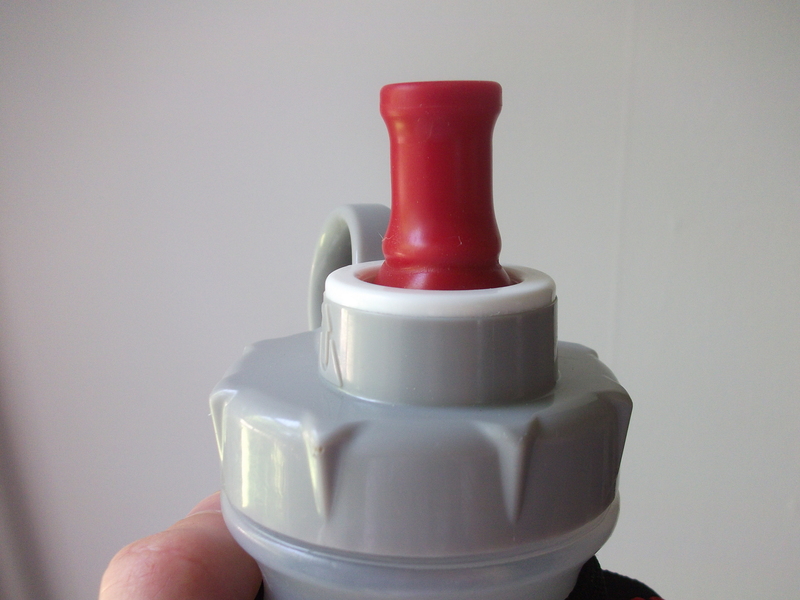 The kicker-valve only requires squeezing the bottle to get water out; no sucking or having to open/close the valve. 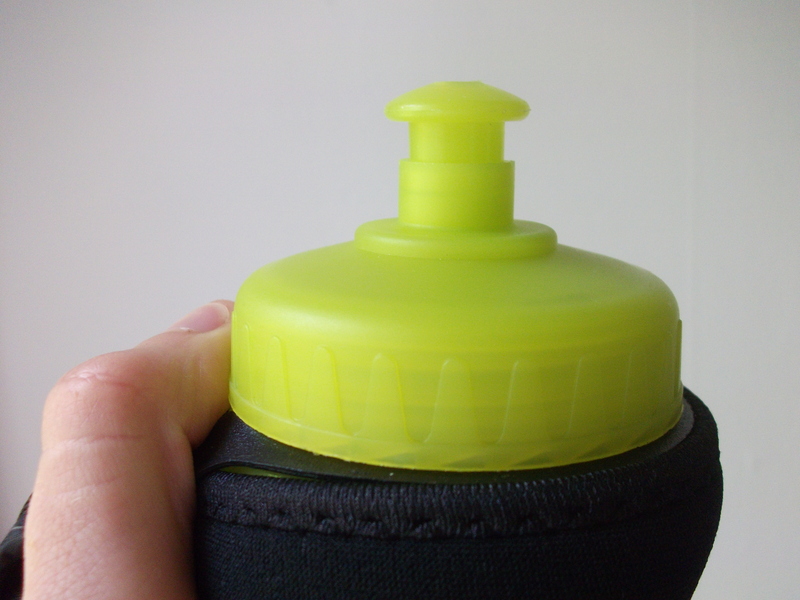 A mesh cover and nylon strap help to secure the bottle to your hand. There is a small zippered pocket for keys, a gel, or (in my case) some dates. I always feel like my hand is uncomfortable. Not sure if its the bottle or me, but I have to continually shift the position of my thumb and I am always spinning the bottle or changing hands to find a comfortable fit. The mesh and strap always leave my hand with indentations because I have to ratchet the strap so tight. The mesh can be uncomfortable. 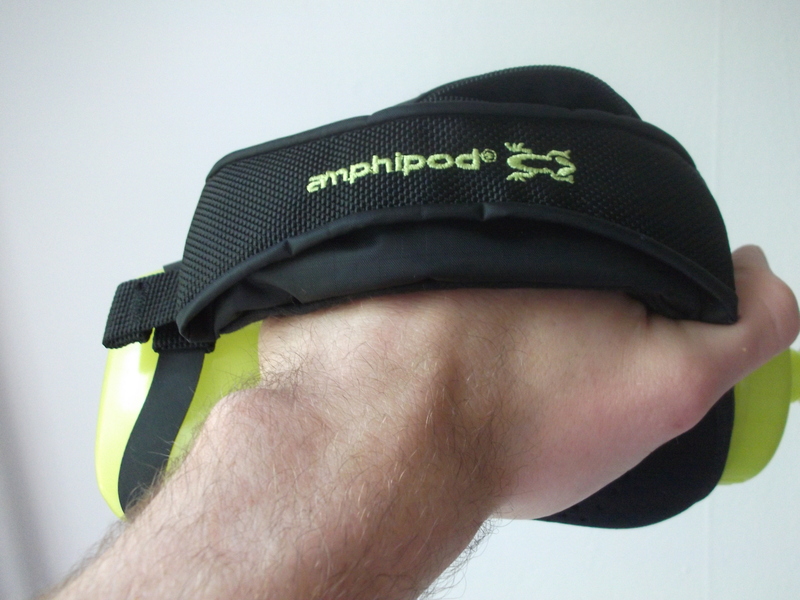 Amphipod Hydraform: The design is quite different, with the bottle being almost flat on the palm side and contoured on the other (this is supposed to make it more ergonomic). It also carries about 20oz of water but it has a traditional water valve. 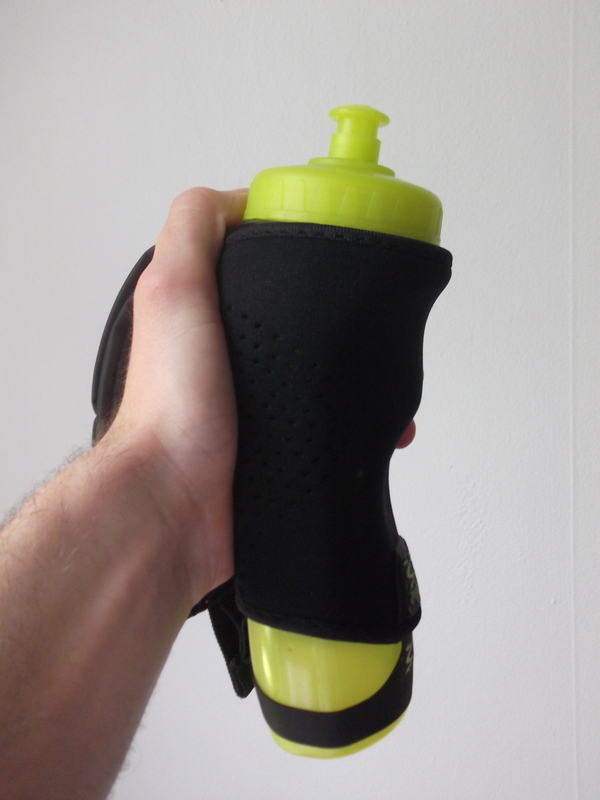 A neoprene cover keeps the water cool and keeps condensation and sweat off your hands. 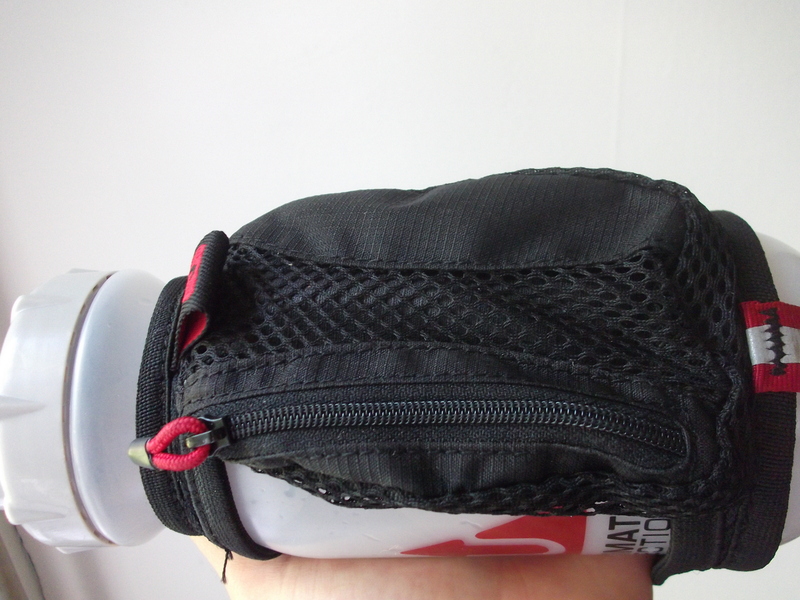 A small zipper pocket stores various running essential. This bottle is really comfortable. After getting used to it I almost didn’t notice the bottle on my hand. 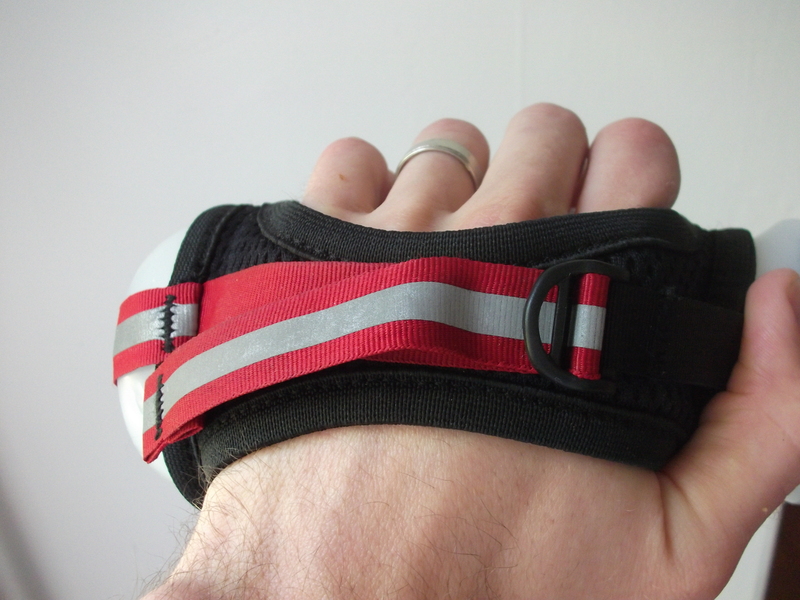 This is aided by the soft material on the strap. The neoprene does a great job of keeping my hand dry. No more having to switch hands or wipe the bottle off. I have no problem with the traditional water valve top. I grew up using my teeth or other hand to open the spout, so I don’t mind it at all. Others, however, might not enjoy get valve dirty or having to close it with their hand, hip, shirt, or whatever is available. 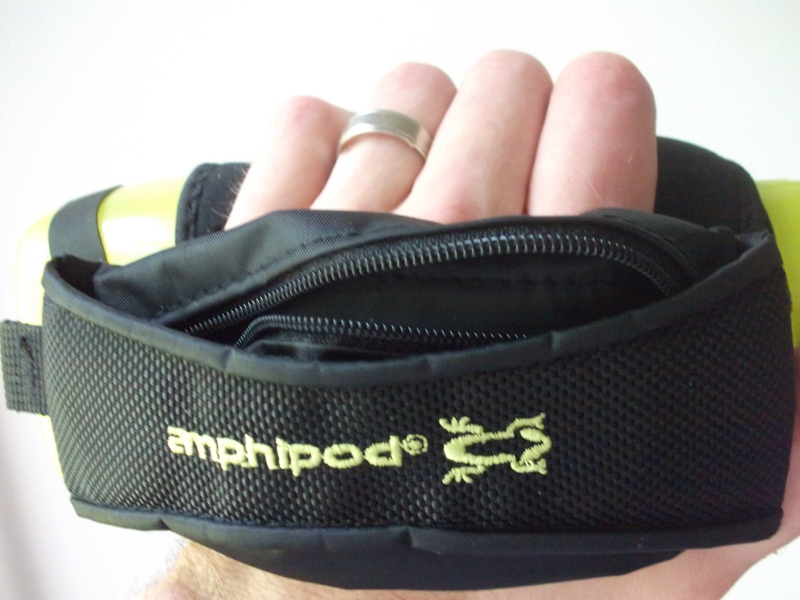 So far the only complaint is that the Amphipod’s zipper pocket seems a bit smaller than the Fastdraw’s. It might not be, but even trying to fit a single gel took a bit of maneuvering. This is probably because the Amphipod’s pocket is long and narrow, while the Fastdraw’s is shorter and wider. The Amphipod Hydraform is definitely my favorite of the two, but only just. I will probably get a second one and hold onto the Fastdraw just in case we need some extra water but do not want to carry a pack. I would recommend giving the Hydraform a look, especially for anyone who is new to carrying water on their runs or who is doing longer runs. Amphipod makes a bunch of different bottles, both in smaller and larger sizes, and without the neoprene cover (which you can remove if you want). I got mine from Running Warehouse. 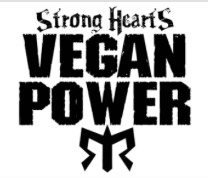 You can even get it with a discount: go over to Runblogger.com and click on the link for Running Warehouse so you can get 10% off. The price comes to about $18, which is a steal for such a great product. Thanks for the comment, Julie. This bottle is pretty sweet and I will be interested to see how it goes for some long runs, plus running with two of them! Should be fun. I went the reverse.. handheld to the pack. Especially on the long trail runs when the bottle wont be enough. We actually found a great deal on packs at http://www.walmart.com/ip/Mountain-Trails-Revive-Hydration-Pack/16617708 I have run about 50 miles in it so far… pretty much the same as any other pack… interesting to see you guys go the other way with it!